This is perfect for those who want history in a hurry — this tightly edited paperback edition provides a readable and simple summary of New Zealand’s history. It’s ideal for visitors to New Zealand or for students cramming for a history exam. At the average reading speed of 120 words per minute, we reckon you’ll have a decent grasp of our nation’s history in less than a couple of hours. Note: Originally published as an ebook in 2013, the Kindle edition was revised and updated in January 2019. This paperback edition was updated at the same time. ‘All you need to know about New Zealand’s past in the time it takes to watch a movie.’ – Hawkes Bay Today. 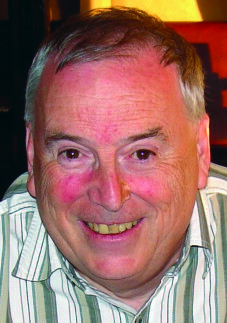 The late Peter Jessup wrote about New Zealand history and sport for more than 30 years, as a newspaper journalist and author. A print edition of this book, published in 2013, is available for the New Zealand market. For trade sales inquiries, please contact Hurricane Press. Hurricane Press has published a revised and updated edition of its best-selling ebook The Complete History of New Zealand (in less than two hours). 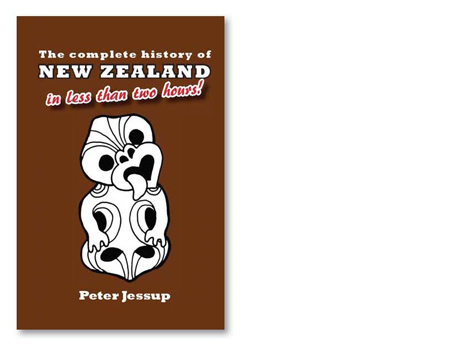 Peter Jessup’s 18,000-word summary of New Zealand’s story was first published as a print edition in 2011 and then as an ebook in 2013. One of the benefits of digital publishing is the ability to update books. The Kindle edition of the book is available from Amazon, the world’s biggest distributor of ebooks. For more information, see The Complete History of New Zealand (in less than two hours) – ebook edition. 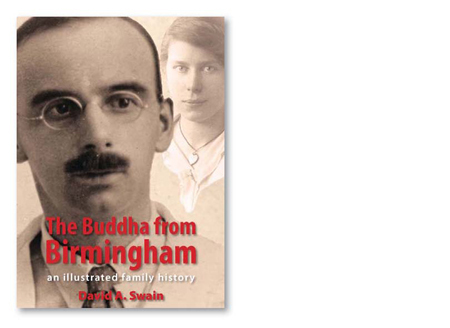 The Buddha from Birmingham centres on the lives of Arthur Swain and Dorothy May Swain née Cadman, especially their ten years of service as medical missionaries in China and India 1925-1935. It draws upon family oral history, documents and photographs, Western and Chinese archives, academic and missionary literature, and Western and Chinese key informants, to tell their poignant and thought-provoking story. It is profusely illustrated with photographs from the Swains’ photograph albums (many of them ‘ethnographic’ in character) and the public domain. The central story is set in the context of Arthur and Dorothy’s formative years before their missionary work, the family’s experience of the return to England after China and India, and Western and Chinese scholarship on the medical missionary endeavour in China. 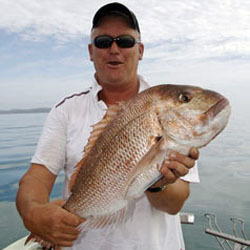 David A.Swain is a retired academic who lives in Hamilton, New Zealand. He undertook self-publication of The Buddha from Birmingham after attending a Hurricane Press workshop. * The Buddha from Birmingham was edited and produced ready-for-print by Hurricane Press on behalf of the author. This is perfect for those who want history in a hurry — this neatly–packaged hardback provides a readable and simple summary of New Zealand’s history in only 112 pages. 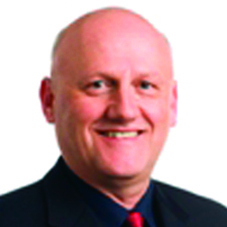 Peter Jessup has been writing about New Zealand history and sport for more than 30 years, as a newspaper journalist and author. He lives in West Auckland, New Zealand. An ebook edition of this book is available from Amazon. This is perfect for those who want history in a hurry — this tightly edited ebook provides a readable and simple summary of New Zealand’s history. Note: Originally published as an ebook in 2013, the Kindle edition was revised and updated in January 2019. A print edition of this book is available for the New Zealand market. For trade sales inquiries, please contact Hurricane Press. First published in 1889, this is credited with being one of the world’s earliest science fiction novels – a futuristic story in which women rise to positions of power and citizens travel freely in aluminium ‘air-cruisers’. 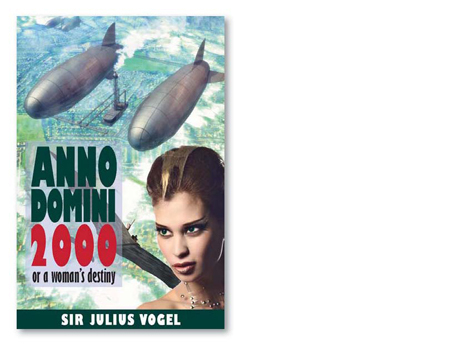 Sir Joseph Vogel’s story is remarkable for the accuracy of his predictions for a world in the year 2000. Heroine Hilda Fitzherbert is the 23-year-old Imperial Prime Minister, caught between a villainous Australian republican and Emperor Albert, the dashing young ruler of the Federated British Empire. The future of the world is at risk when an Anglo-American war breaks out. Vogel wrote his story after stepping down as New Zealand’s Premier, a role in which he promoted the vision of a modern world where men and women would be social and political equals – many years before women got the right to vote. His description of air travel and wireless communications seemed far-fetched when Anno Domini 2000 was first published. Today, the book remains a fascination for those who want to compare its prophesies with the reality of modern society. This edition includes a retrospective review of the book, including details of how it was received when published in 1889 and a summary of its predictions. 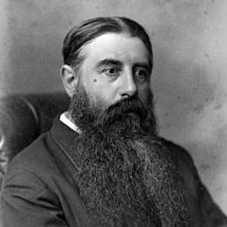 Sir Julius Vogel (1835-1899) was a visionary leader who was widely ridiculed when he wrote this book. Today, New Zealand’s speculative fiction awards are named after him, in his honour. Many of history’s biggest moments have been epitomised in the words of a classic speech — words that live to capture the spirit and sense of the time. This collection of 48 speeches tells the story of New Zealand’s development as a nation.Through the eyes and words of those at the heart of landmark events, you’ll learn how our country was shaped. They include declarations of war and peace, stirring orations that changed our social attitudes and visions of New Zealand by those who led our nation’s journey. Most of these speeches will enlighten. Many inspire. All of them help us understand the people we are. The book is the work of historian and former Cabinet Minister Hugh Templeton, veteran political writer Ian Templeton and editor/writer Josh Easby. The trio plan a follow-up volume, telling the stories of landmark speeches from 1957 to the mid-2000s. “This important collection of landmark speeches by leaders and agitators demonstrates the power of oratory to influence history and social attitudes, to inspire courage and to encourage change. 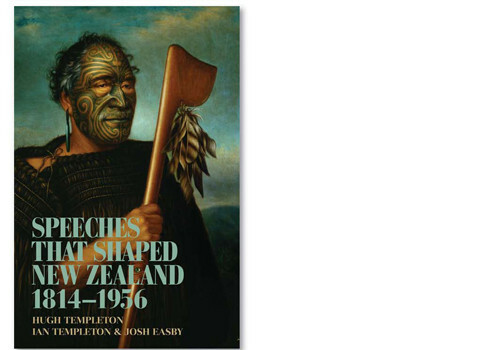 The evolution of New Zealand as a nation between 1814 and 1956 can be traced through the significant speeches collected in this handsome volume.” – newsletter review, Unity Books, Wellington. 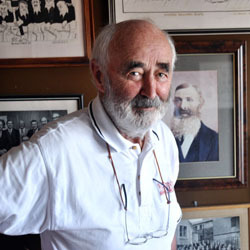 Hugh Templeton is a former Cabinet Minister and diplomat who is the author of several books, fulfilling his passion for relating New Zealand history. 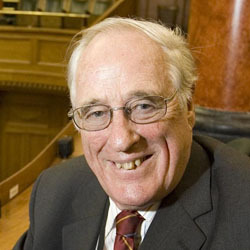 His twin brother, Ian Templeton, is New Zealand’s longest-serving political commentator, having worked in the Parliamentary Press Gallery in Wellington for more than half a century. Josh Easby is writer, editor and publisher.